Working in Luxemburg, Asst. 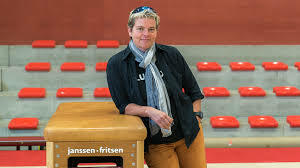 Prof. Bettina Karsten is the Programme Leader of the BSc Exercise & Sport Science degree at LUNEX International University of Health, Exercise and Sports. Bettina obtained her doctorate in Sport Physiology from the University of Greenwich in 2014 and she received her BSc Hons in Sport Science and Biology from the University of Hannover/Germany. 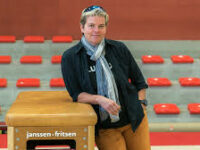 After her Bachelor’s degree, Bettina took up a position in a rehabilitation centre for musculo-skeletal rehabilitation while obtaining the equivalent of a Master’s degree in Sport and Exercise Rehabilitation at the German School for Physiotherapy in Waldenburg. Bettina has a great passion for teaching, in particular subject areas that enhance human performance in the context of health and sporting competition. Her mission is it to inform body workers about the actual training context of rehabilitation. Why do we have to train systematically to overcome injuries and why is training the best possible answer for most musculo-skeletal chronic degenerative diseases? Bettina’s primary research interest is in Endurance Performance, Exercise Tolerance and Sports Specific Strength and Conditioning for Injury Prevention / Rehabilitation and Performance. Specifically, she is interested in field-testing of Critical Power/Critical Speed and W´/D´ as well as the application, the monitoring and the enhancement of both parameters. For publications please see PubMed.